In the United States started the election race. And if among the Republicans no one rises more than the figure of Donald Trump, then the Democrats have their old favorite. Bernie Sanders, 78, announced he was joining the race, and Trump congratulated him on this. "The only socialist in big American politics" - this was how Sanders was described ten years ago. Now he is the most prominent figure among the democrats of the new wave, the left wing of this party. The chances of Sanders on the nomination of a presidential candidate from his party are great. He has a chance to win, and this will have considerable consequences. But one can hardly expect that he will be able to implement his program and transform the American economy. "Grandpa" instantly attracted attention. His supporters are inspired, and observers began to recall how Sanders collected a lot of money for the campaign without checks from big business and foundations and other "public" structures. With money, Sanders should have no problems. Although his sympathizers were disappointed with the results of the previous campaign, they believe that Sanders could become the president of the United States, he and only he is able to resist "racist, homophobic and woman-hater" and, most importantly, give the country a social system like the Swedish one, eliminating the monstrous backwardness of the United States in the health issue and making education free. It may also be about raising the minimum hourly wage rate, reducing taxes for the poor and raising them for rich Americans while protecting for American production. The latter is also Trump's strategy. That is Sanders' "socialism". However, it is not the left-wing mood of the voters that can ensure the nomination of the “grandfather”. What is needed is the loyalty of the party apparatus and the financial circles behind its figures. In 2016, Sanders behaved correctly in their attitude. At a critical moment, when it became clear that the nomination of Hillary Clinton would be roughly arranged at the Democratic convention, the real leader of the democratic primaries obeyed and supported the farce. Sanders did not act like a man of honor and principle. Clinton took his social package, although sensible voters found it difficult to believe in her willingness to fulfill the plan. But Sanders was tested. Now he can hope for the neutrality of the apparatus and the far from left-wing prominent democrats of the old wave. He does not intend to meet with Clinton, making it clear that he blames her and those who pushed her for the failure of the Democrats in 2016. Trump will not be easy to fight with Sanders. But he has arguments. First, he can always say: it was the Democratic deputies who did not allow him to improve US health care. Secondly, he can accuse them of the lack of effectiveness of protectionism. Who prevents him from waging a trade war against China and returning jobs? Third, the social measures of the Left Democrats are not patented. They can be taken, leaving behind the entire set of postmodern pseudo-share demagogy about the rights of minorities, women and various “oppressed groups” (they are allegedly oppressed mostly by white men). Trump has already shifted the Republican agenda to the left, towards the set of decisions of the 1950s and 1960s, that is, before the neoliberal “revolution” in US policy. But what if Sanders does win? What if he connects the voices of the working class, demonstrative minorities from megalopolises and those Americans who were expecting more from Trump. And after the presidential election, Trump didn't do that much. The first thing he did not do was a coup in the party. Trump did not call his supporters to the ranks of the Republican Party, but began to negotiate with those in it who did not want to see either his presidency or his policies. In this wave of elections for the Congress in 2018 won the Democratic Party. Now some leftist commentators are excited about the nomination of Sanders. They see the new dawn of America. Sanders can win the election. However, he is unable to solve the main question of American politics - perhaps he does not want to. This question is to remove financial capital from power and change the model of the economy. “Grandpa” is counting on the nomination from his party, and this says a lot about his possible presidency. It is likely to be built on the sum of compromises with the old democrats, that is, with the large financial circles of the United States. Why? 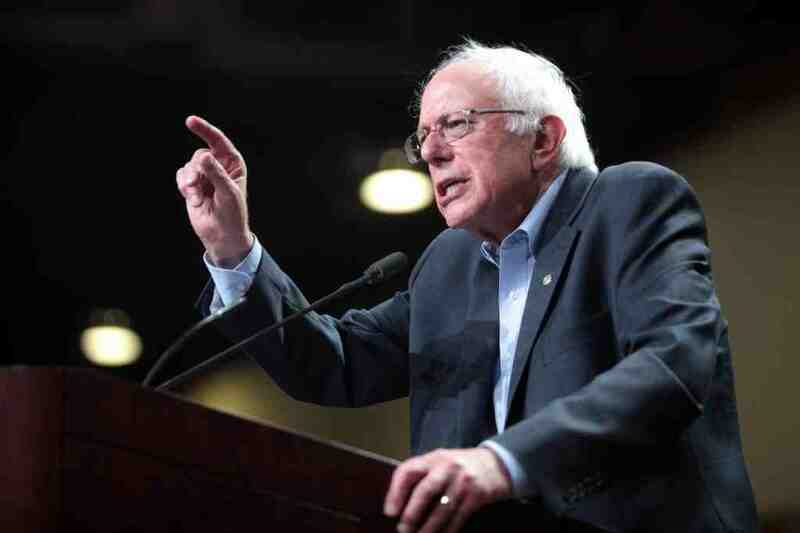 Sanders could challenge them in 2016. He was defiantly casually pushed aside, he could call on his outraged supporters - ordinary citizens - to storm the Congress, to refuse to vote for the democrats of the old wave, could put forward himself. But he accepted the rules of the game. - there will be no funds. Free diplomas may be no more useful than paid by a loan. Citizens should not count on increased protectionism either. There will be social concessions made in a left-liberal cultural context, but not a revolution in the economy. Neither the Fed nor the dollar will suffer. And without the devaluation of the American currency, the US industrial revival is impossible, for the price of production will remain too high. Such transformations should not be expected from Trump, nor from Sanders. It is worth remembering that the “grandpa” back in 2016 considered the expansion of the social program of the party to be his achievement. He would hardly decide to fight for more against the elite owners of the Democratic Party. Any of his attempts to change the economic system will be blocked by deputies and judges, and a stream of criticism will fall upon the author of the measures. But the possible battle of Trump and Sanders in the election is very interesting. But as a result, the financial circles of Wall Street will not lose control over the processes. They may allow a shift in social policy and even an increase in taxes, but fundamental economic changes are unlikely to allow it.